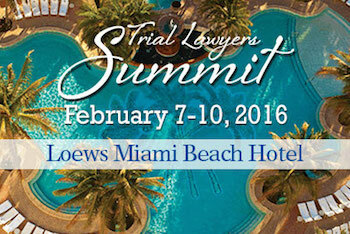 New York Discrimination Law Firm Phillips & Associates, attended 2016 Trial Lawyers Summit in Miami, Florida. Hosted by the National Trial Lawyers Association's, the conference featured an amazing lineup of over 40 of the nation's top speakers covering the latest trends, new case types and topics. For the 3rd year in a row the Trial Lawyer Magazine has rated the Trial Lawyer Summit the #1 conference of the year!!!! For more information see https://www.thenationaltriallawyers.org/calendar-of-events/.